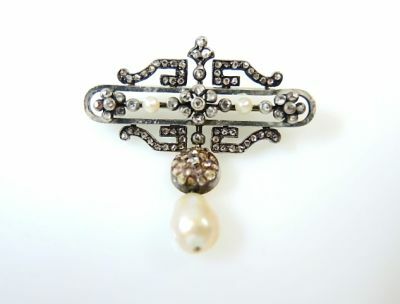 An intricate Art Deco 14kt yellow gold brooch with a silver top that has 1 off round creamy pearl, approx. 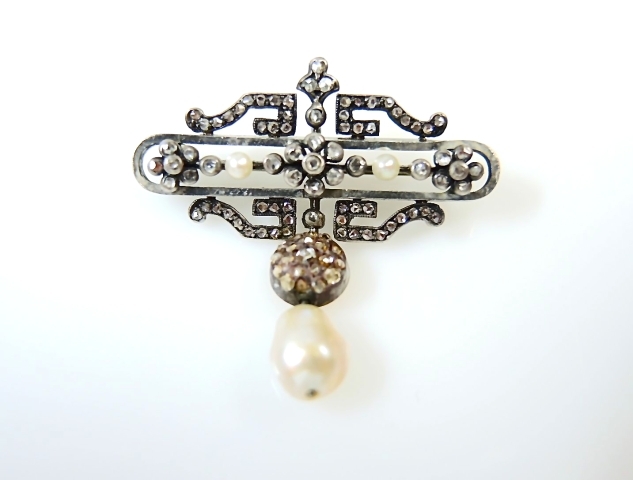 8.76 x 5.89 x 6.92mm and 101 bead-set rose cut diamonds, est. 0.52ct. (clarity: SI-I & H-I-Yellow colour) and 2 cultured pearls, approx 2.5mm.